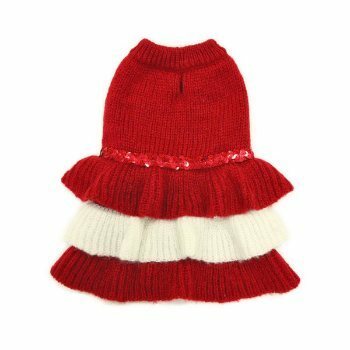 Festive bicolor tiered red and white dog dress has playful ruffles. Details include a dazzling sequined belt with a convenient leash hole. 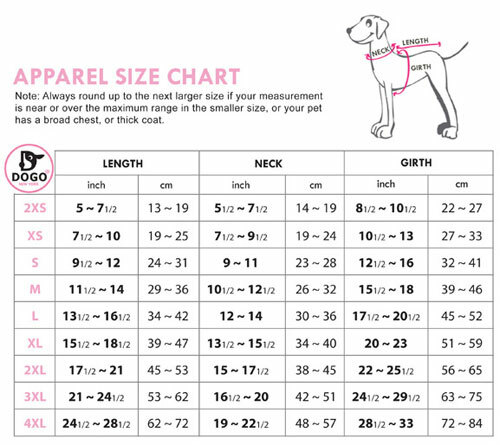 Available in dog sizes xxs-xlg. The Red Sequin dog dress is perfect for the cold winter months.